With regards to both Dickens and cursing Chinese philosophers, 2014 was certainly the "best of times," the "worst of times," and perhaps even the "most interesting of times" for the Canadian space industry, although the specifics mostly depended on whether you worked at the Canadian Space Agency (CSA) or somewhere else. So, with that in mind, here are some of the high and low points for the Canadian space sector in 2014. The year began, as outlined in the January 23rd, 2014 post "Canadian Space Industry Shrinks While International Markets Grow, with indications that Canada could no longer "punch above its weight," at least when it came to the commercialization of space derived technology. As described in the article, the Canadian share of the fast expanding international space marketplace was shrinking, both as a percentage of the overall market and in absolute terms. Of course, it wasn't as if the Federal government under Prime Minister Stephen Harper was unaware of the situation. After a slow start assessing the recommendations of the November 2012 David Emerson led Aerospace Review (which was highly critical of the CSA and led directly to the February 2013 resignation of CSA president Steve MacLean), the Harper government continued on its glacial way with a series of incremental announcements marinated in hyperbole, which at least reflected Emerson and could perhaps become the core of an effective job creation strategy during the lead-up to an expected fall 2015 federal election. Minister Moore. Photo c/o CTV. 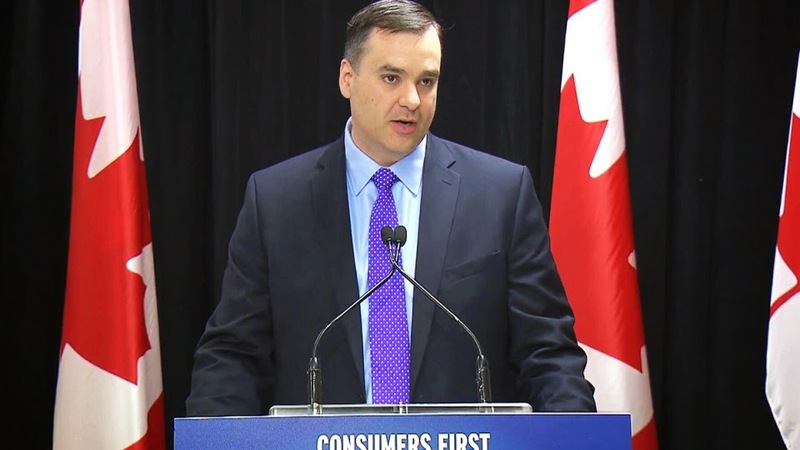 The first of these announcements was the January 7th, 2014 release by Industry Minister James Moore of "Canada's Space Policy Framework," which defined five principles of Canadian space policy ("Canadian interests first," "positioning the private sector at the forefront," "progress through partnerships," "excellence in key capabilities" and "inspiring Canadians") and three areas of action ("commercialization," "research and development" and the "exploration of space") without really going into a lot of detail about what the phrases actually meant. Gen. Natynczyk. Photo c/o Wikipedia. 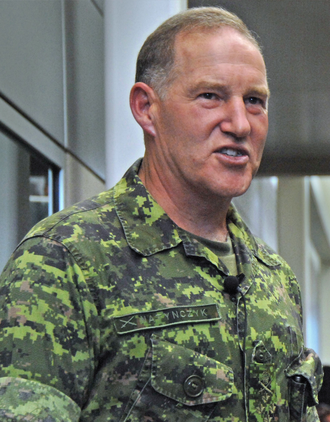 Meanwhile, a beleaguered CSA, under the semi-serious leadership of MacLeans' official successor, retired Canadian Forces general Walt Natynczyk, attempted to explain why CSA employees should continue to come to work. The big problem, as outlined in the February 9th, 2014 post, "Conservatives Form Committees; NDP Says "Incompetence Crippling Space Sector," was the Aerospace Review's recommendation to create two external committees; the first tasked with outreach functions and the second tasked with fiscal oversight and policy making. This shrinking of the CSA mandate would normally clear the way for re-assignment and lay-offs of CSA employees whose roles would be essentially "outsourced" to the committees, which is likely why the opposition New Democratic Party (NDP), with its close ties to various unions representing federal government employees, initially objected. However, as outlined in the February 27th, 2014 post on "The "Casablanca" of Space Conferences," it was becoming obvious, even without the spectre of immediate layoffs, that most CSA employees would prefer to be somewhere else and, by the end of the year, most of those who could leave, did. Among them, as outlined in the November 2nd, 2014 post "Hello, I Must Be Going: CSA President Natynczyk Transferred to Veterans Affairs," was Walt Natynczyk. Also by the end of the year, and as outlined in the November 19th, 2014 post, "Industry Minister Moore Announces Space Advisory Board Members," the Federal government had finally announced the membership of one of the previously announced committees, a daring, but long overdue step which should give plenty of time to make several more auspicious announcements unencumbered by the need for actual results, as part of the run up to the next election. 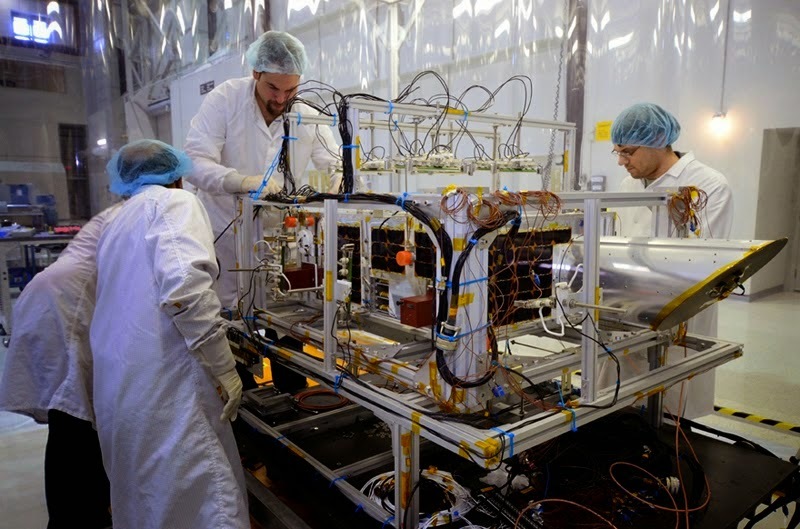 CSA employees preparing the Near Earth Object Surveillance Satellite (NEOSSat) for thermal vacuum testing at the David Florida Laboratory in Ottawa, ON sometime before its launch in February 2013. As outlined in both the July 7th, 2014 post "NEOSSat Not Up to the Job; Government Report Blames Contractor," and the July 28th, 2014 follow-up post, "Customers vs Project Managers: The Real Truth about NEOSSat," an unusual public feud between the CSA and NEOSsat prime contractor Microsat Systems Canada Inc. (MSCI) highlighted project management failures at the CSA and raised questions about whether the satellite would ever function according to specifications. As of December 2014, NEOSsat was still not fully operational. Photo c/o CSA. Throughout the year, politics remained a key driver influencing Canadian space activities. The April 7th, 2014 post "The Crimean Crisis and Canadian Aerospace Activities," discussed sales losses in at least two Canadian aerospace firms (MacDonald Dettwiler and Bombardier) deriving from Federal government decisions made in protest against Russian activities in the Crimea. The April 28th, 2014 post "M3MSat and the Politics of Dancing in the Crimea," discussed the announcement that the Federal government "has decided not to proceed" with the planned June 2014 launch of the Maritime Monitoring and Messaging Micro-Satellite (M3MSat) technology demonstrator from the Baikonur Cosmodrome in Kazakhstan and the subsequent Russian allegations of the M3Msat's possible "military" uses. But while, as outlined in the June 24th, 2014 post "Two More Canadian Satellites Launched on Russian Rocket: Another Scheduled," Russia did end up launching at least a few more Canadian built satellites over the summer, the writing was on the wall for fall. Hadfield abroad. Photo c/o Donald Weber / Crown Prince Court/ Abu Dhabi. By then, as described in the September 29th, 2014 post, "No Visas for Russian and Chinese Space Delegates to Attend IAC 2014" the situation was such that the Harper government wasn't even expected to provide a public justification for its actions, although some of the background on the Chinese decision was discussed in the November 9th, 2014 post "PM Signs Agreement with China a Month After Rejecting Chinese Delegation Attending IAC2014." Fortunately, these restrictions do not seem to have hindered Canadians such as Chris Hadfield from travelling abroad, a situation discussed in the September 14th, 2014 post, "Hadfield in China for International Planetary Congress; PM to Follow in November." As outlined in the August 11th, 2014 post "Hadfield in Emirates, Russia in Lather & UrtheCast in Orbit," Canada's most famous astronaut also visited the Middle East, where he publicly stated his interest in helping the United Arab Emirates (UAE) set up its own space agency and launch a Mars probe. 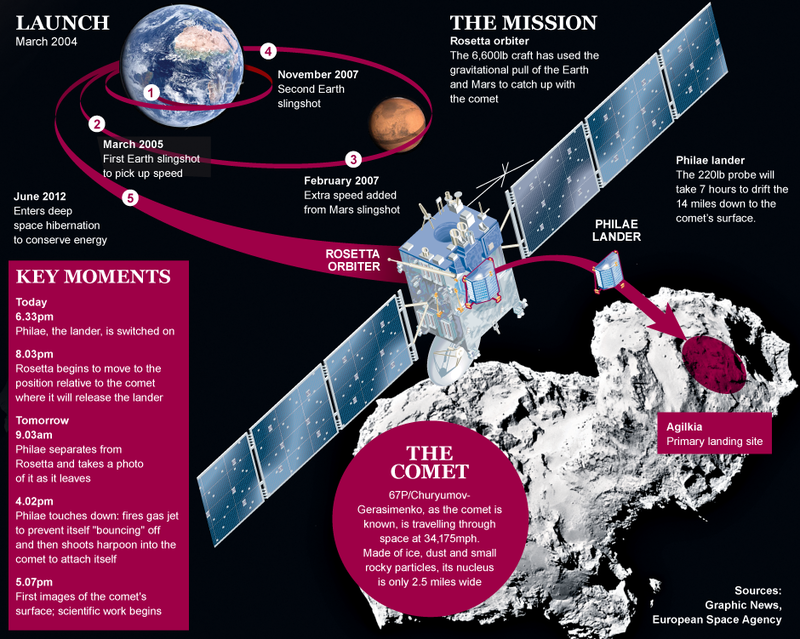 A graphic showing the Rosetta spacecraft, the Philae lander and a timeline for the European Space Agency (ESA) Rosetta mission. As outlined in the November 16th, 2014 post, "ESA's Perspective on Rosetta + Canada's Contributions & Bruce Willis," the substantial Canadian contributions to the mission included software (via the AGDA Group Canada), the three ground stations used to communicate with the spacecraft (built by SED Systems) and at least two Canadian expatriates who had to live abroad in order to work on the program. Graphic c/o Graphic News/ ESA. Of course, the essential core of domestic Canadian space policy and political activism remained the ability to announce new space focused funding for appropriately receptive communities. In this area at least, the Federal government remained without peer throughout 2014. Funding announcements for space agency projects picked up over the summer and were discussed in the July 21st, 2014 post, "Federal Government Hypes OSIRIS-REx Mission," the August 9th, 2014 post, "Industry Minister Allocates $6.7Mln to Develop Space Apps," the August 18th, 2014 post, "Canadian Space Agency Gears up to Fund More Rovers," the August 24th, 2014 post "Space Agency Seeks Insight into Space Industry," the September 8th, 2014 post "Space Agency Funds Training for RADARSAT Researchers," and quite a number of others. But, as outlined in both the June 30th, 204 post, "Canadore College Testing New European Space Plane Design," and the follow-on November 30th, 2014 post, "Ambitious MP Announces Canadian "Space Caucus" Focused on the Economics and Business of Space," at least some of the government gifts were less about money and more about influence. Conservative MP for Nipissing-Timiskaming Jay Aspin in his riding office on March 25th, 2014. As outlined in the March 26th, 2014 North Bay Nugget article, "Aspin mum on details," the loyal conservative was even then "awaiting new aerospace-related tenants in North Bay." Aspin is currently the deputy chair of the parliamentary aerospace caucus and the chair of the recently announced parliamentary space caucus. Photo c/o Nugget.ca. But even with all the federal funding flowing about, Canadian space companies showed an increasing reluctance to wait for the government to support their projects. As outlined in the January 28th, 2014 post, "UrtheCast Cameras Reinstalled on ISS," Vancouver-based UrtheCast Corporation spent the year repairing and re-installing Earth imaging cameras aboard the International Space Station (ISS), before eventually partnering with US based, privately held NanoRacks to install additional cameras on the NASA segment of the ISS. In May, Lethbridge, Alberta based BlackBridge, which already quietly controlled one of the larger privately owned satellite constellations in the world, secured additional funding to expand its network. As outlined in the May 30th, 2014 post, "BlackBridge Secures $22 Million for New Satellite Constellation," the funding was supplied the traditional way, through the very business oriented Bank of Montreal (BMO) and the Business Development Bank of Canada (BDC). Throughout the year, several space start-ups attempted kickstarter campaigns designed to raise funds for future activities. However, as outlined in both the September 7th, 2014 post, "Open Space Orbital Post Mortem: Lessons Learned & Moving Forward," and the December 8th, 2014 post "Engineering Expertise, Marketing Knowledge & Business Acumen Each Needed for "Beaver" Crowd Funding," the learning curves for these new funding mechanisms are every bit as daunting as traditional methodologies. But others, like the University of Toronto Institute for Aerospace Studies (UTIAS) Space Flight Laboratory (SFL) were more successful. UTIAS-SFL managed to launch five satellites in two weeks over the summer, a number never matched by the CSA, even in its heyday. These included two Canadian BRIght Target Explorer (BRITE) satellites for studying luminous stars from orbit, which were launched on June 19th, 2014 on a Dnepr rocket from Yasny; the CanX-4 and CanX-5 formation flying satellites, which were launched on June 30th 2014 on PSLV-C23 from Sriharikota, India; and AISSat-2, a Norwegian owned and funded but Canadian built satellite for ship tracking, which was launched on July 8th 2014 on board a Soyuz 2-1B from the Baikonur Cosmodrome in Kazakhstan. The Russian launches were especially problematic given the Federal government's previously discussed stance on Russian activities in the Crimea. But, as outlined in the July 7th, 2014 post, "BRITE Montreal Satellite Fails to Deploy after Launch; Presumed Lost," all but one of the satellites achieved orbit and operational status. University of British Columbia (UBC) professor Jaymie Matthews with the Microvariability and Oscillations of STars (MOST) telescope, sometime prior to its launch in 2003. Although officially de-funded by the CSA in September 2014, the satellite, under professor Matthews' direction, remains fully functional and available for use on a rental basis. As outlined in the December 18th, 2014 National Post article, "Its funding may have been eliminated, but that didn’t stop a Canadian satellite from co-discovering new planet," its even managed to contribute to new scientific discoveries. As for the major Canadian space players, as outlined in the June 14th, 2014 post, "The "Three Kings" of CDN Commercial Space Prepare for Changes," they mostly just sat and pondered their future. As outlined in the September 22nd, 2014 post, "MacDonald Dettwiler Now a Commercial Satellite Powerhouse," it's slowly dawning on Canadians that the future of large domestic space companies might rest in the international arena. And, as outlined in the December 15th, 2014 post, "COM DEV Buys a Scottish Microwave Equipment Manufacturer," Cambridge, Ontario based COM DEV International (COM DEV) has decided on the first of a promised series of international acquisitions in order to grow the company and gain access to foreign markets. What's going to happen next year in space for Canada? Tune in beginning January 6th, 2015 to find out. Oleg Ostapenk. Photo c/o NASA. A series of recent, and often contradictory news reports, originating from Russian media outlets and picked up by western media, are only the latest signs that the Russian space industry is jockeying for position in anticipation of updates to its long-term space exploration plan. This new plan is expected to be formally released in time for the 2015 International Aviation and Space Salon (MAKS2015), which will be held in Moscow from August 25th - 30th, 2015. Remaining a part of the International Space Station (ISS) program, a joint project with contributions from NASA, Roscosmos, the Japan Aerospace Exploration Agency (JAXA), the European Space Agency (ESA), the Canadian Space Agency (CSA) and others, until at least 2024. Designing and building a brand new, Russian led, space station in a low Earth orbit at an orbital inclination of 64.8 degrees, using surplus modules originally designed for the ISS, but never attached. The slightly higher orbital inclination, when compared to the ISS (which has an orbital inclination of 51.6 degrees) will allow the proposed station to image more northerly Russian territory. Designing and building a brand new, Russian led, space station in low Earth orbit with an orbital inclination of 51.6 degrees, the same as the ISS, in order to simplify transfers between the two stations. Of course, a number of other options are also on the table. These include a potential high altitude space station, which could serve as a base of operations for a revived Russian manned lunar program and a new, super heavy Russian rocket. 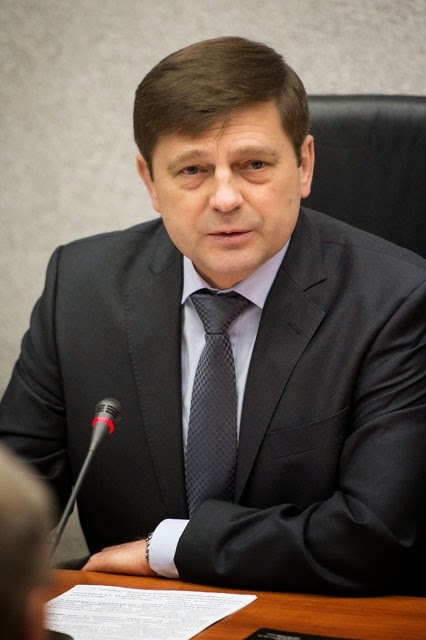 Ostapenk also said that the “Roscosmos budget will not be cut, despite all financial difficulties. But I’m not going to make the sum public until it gets approval.” As outlined in the October 4th, 2014 Economist article, "On the edge of recession," the Russian economy has been contracting for some time. The 2014 budget for Roscosmos was 165.8Bln rubles ($3.5Bln CDN) which already compares poorly with NASA's 2014 budget of $17.6Bln US ($20.4Bln CDN). Of course, it's unlikely that Russia and Roscosmos will embark in a completely new direction. For example, the December 16th, 2014 Russia Today article, "US Orion, Russia’s future spacecraft ‘to be compatible for safety," discussed the recent agreement between Russian spacecraft producer RSC Energia and US aerospace firm Lockheed Martin, to develop a compatible docking so that "Russian and American space explorers can help each other in an emergency." As outlined on the Russian Space web article, "Russia details its grand space strategy in 2010s; New deep-space ships, big rockets and nuclear space tugs are promised at the Moscow air show," the last official Russian space plan, released to the public as part of the 2013 International Aviation and Space Salon (MAKS2013), set out a 30-year road-map in which human space exploration expanded outwards from the ISS to a crewed outpost at one of the Lagrangian points near the Moon. The plan would have then forked into two paths: one leading to a crewed Lunar base followed by visits to asteroids by the 2030s---the other reaching the same goals, but in reverse order. Both paths would have culminated with a human landing on Mars by around 2040. Roscosmos, envisioned the LaGrange and Lunar outposts as joint projects with other space-faring nations, including the US, Canada, and the EU. Unfortunately, soured relations between Russia and the West over issues like the Syrian Civil War, Iran, and Russia's annexation of the Crimea have led to increasing calls (in both Russia and the US) for a return to fully independent national space programs. Whether Russian and Western governments are willing to provide funding increases to their respective space programs for independent missions to the Moon and Mars remains an open question. Although Russia has capitalized on an oil-fueled economic boom to boost funding of its space program over the last few years, the recent drop in global oil prices may put the brakes on this revival. We now see in both the US and Russian space programs a common pattern. Governments lay down ambitious space goals, companies then vie with each other for lucrative contracts to achieve these goals, only to have governments cancel programs and shift goals years later. This pattern becomes a self-perpetuating cycle whose result is always the same: humanity remaining an Earth-bound species. Perhaps the Russian and US space programs are now more alike than either would care to admit. A scandalized sénateur Gournac. Photo c/o LUDOVIC/REA/LUDOVIC/REA. Unlike Canada, where we officially outsource our space launches to the lowest bidder, politicians from both France and the United States have publicly rebuked any suggestion that they shouldn't "buy local," when it comes to their launch providers, even if the cost of launch ends up being much, much higher. The article also suggested that competition from SpaceX is more than a little responsible for "single-handedly" causing the ESA to invest €4Bln euros ($5.8Bln CDN) into the new Ariane 6 launch vehicle in order to effectively compete with the SpaceX offering. The satellite in question is part of the European Data Relay Service (EDRS), a planned constellation of geosynchronous orbit (GEO) communications satellites which will relay information and data between other spacecraft, unmanned aerial vehicle's (UAV), and ground stations. EDRS is being implemented as a public private partnership (PPP) between the twenty nation European Space Agency (ESA) and private partner Airbus Defence & Space with Airbus holding responsibility for deciding on the launch provider. Initial rumours suggested that Airbus was approaching a variety of low cost providers such as SpaceX. 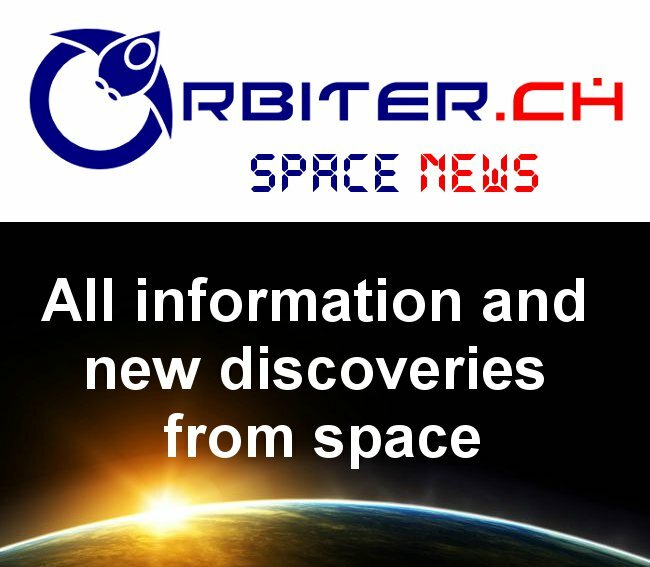 but Airbus issued a press release later on the same day, Airbus responded to the rumours by indicating that it had not signed a contract with SpaceX for EDRS, and would soon enter negotiations with ESA and with French based Arianespace for the launch. 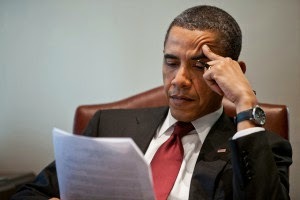 US president Obama. Photo c/o Forward Progressives. Also on that same day, the American's were busy defending the long term viability of their domestic launch capability. As outlined in the December 12th, 2014 Los Angeles Times article "Congress OKs bill banning purchases of Russian-made rocket engines," the US Senate "voted 89-11 to approve a bill Friday that would ban the Pentagon from awarding future rocket launch contracts to firms using Russian engines." The article also said that, "the ban is a blow to the Boeing-Lockheed venture called United Launch Alliance (ULA), which has relied on using the (RD-180) Russian (rocket) engines under an exclusive and expensive deal it has had with the Air Force since 2006." But while the measure had already passed the US House of Representatives and was expected to be signed into law by US president Barack Obama, ULA did succeed at weakening the bill to allow the use Russian engines already in its inventory. ULA had purchased a number of RD-180 rocket engines from the Russians, which it says is enough for military launches over the next two years, and wanted to expend its existing inventory before building a domestically produced replacement. Curiously enough, the bill is perceived of as being another victory for Hawthorne, CA based SpaceX, which wants at least some of the US Air Force's satellite launching business. As outlined in the December 11th, 2014 Bloomberg article, "Musk’s SpaceX Closer to Certification for Launches, U.S. Says," SpaceX CEO Elon Musk is close to winning the certification his company needs to begin launching satellites for the US military. Musk is a South Africa-born, Canadian American business magnate, engineer and investor who received his Canadian citizenship in 1988 at the age of 17 and attended Queens University in Kingston, ON for two years before transferring to the University of Pennsylvania in 1992 and becoming an American citizen in 2002. Given the circumstances, this would seem to have been a smart choice. No one sane in this industry ever seems to stay in Canada. It's not quite the anticipated size, nor is it in the expected region, but Cambridge, ON based COM DEV International (COM DEV) has made the first of a promised series of international acquisitions in order to grow the company and gain access to foreign markets. According to the December 12th, 2014 company press release, "COM DEV Announces Acquisition," the firm has purchased MESL Microwave Ltd. of Edinburgh, Scotland for £12.8Mln ($23.3Mln CDN). The MESL acquisition will provide an entryway into the lucrative European market and is expected to build on COM DEV’s 30-year history of United Kingdom operations. MESL makes microwave components and subsystems for the radar, communications, defence and aerospace industries. Cross-party support from within government for the UK’s Space Innovation and Growth Strategy, and the leadership of the UK Space Agency and Innovate UK have shown us that the UK is serious about exploiting the potential of the space industry for the long term. The UK is a great place to develop new technology thanks to the incentives that are available, and the UK’s increasing commitment to the European Space Agency and other international partnerships. And Spurrett might just have a point. Great Britain has been a great place to own a space company over the last five years and one of the reasons for this is a government planning document called the UK Space Innovation and Growth Strategy (2010 - 2030). Written in 2010 by a joint UK government and industry group known as the Space Innovation and Growth Team (Space IGT), the plan defined a series of steps needed to boost UK space industry exports from £2Bln ($3.64Bln CDN) to £25bn ($45.6Bln CDN) per annum and add an additional 100,000 new jobs to the sector by 2030. The document led directly to the creation of the UK Space Agency (UKSA) to help co-ordinate government support for the plan. 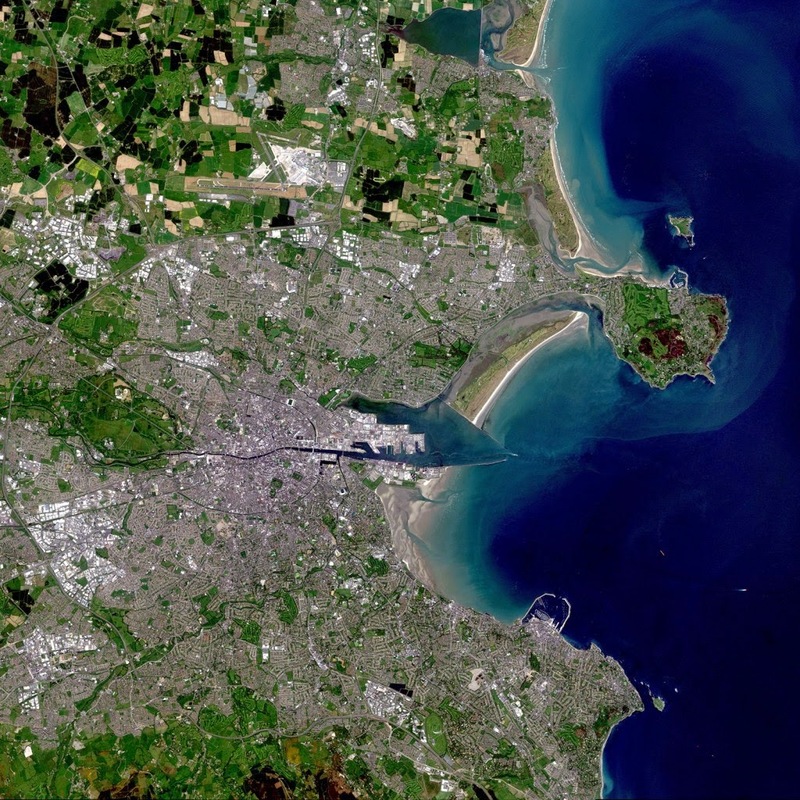 It currently enjoys broad bi-partisan support within the UK and seems to be on track to vastly expand UK space activities over the next two decades. Six months ago COM DEV announced that it was looking to retrace the path of Richmond, BC based MacDonald Dettwiler (MDA), which used its 2012 acquisition of US based satellite manufacturer Space Systems Loral (SSL) to double in size, drive up its stock price and gain access into a variety of lucrative US military and commercial space markets. As outlined in the June 6th, 2014 post "The "Three Kings" of CDN Commercial Space Prepare for Changes," COM DEV had a number of potential acquisitions in preparation then, and hoped to announce the first of several before the end of the fiscal year. Most observers were expecting the firm to make its initial foray into the larger but slower growing US market. That may happen in the future, but for now, the choice to make a smaller investment into a faster growing market with more potential upside, seems like the prudent choice. An Ontario company has launched an ambitious crowd funding campaign for a Canadian mission to Mars in late 2018. However, much like another recent Canadian effort in this area, a lack of business acumen and marketing knowledge seems to have derailed plans generated by acknowledged engineering experts. Since beginning its November 4th, 2014 Indiegogo campaign for the "Northern Light Mission to Mars," North York, Ontario based Thoth Technology has managed to raise only a little more than $9,000 CDN of its listed $1,1Mln CDN goal. The campaign, scheduled to close out on January 3rd, 2015, is focused on funding the delivery of a lander and a 6 kg micro-rover called "Beaver," to the distant Martian surface. The plan is for the Northern Light's lander and rover to carry a variety of instruments for studying Mars' atmosphere, surface and subsurface geology. The lander is expected to feature an infrared spectrometer for examining the Martian atmosphere for bio-marker gases like methane (a possible indicator of life) as well as classifying rocks and minerals and includes a robotic arm and grinding tool to assist with these tasks. The Beaver micro-rover is also projected to carry an infrared camera able to study Mars' surface features and analyse surface boulders. Designed to operate almost fully autonomously during its projected 90-day mission, Beaver is expected to rely on its sensors to provide information on hazards and obstacles, then use an algorithm to select its next destination. Thoth was founded in 2001 by Dr. Brendan Quine, a professor of space engineering & planetary physics at York University, and Dr. Caroline Roberts, a technical writing instructor at York University’s Lassonde School of Engineering, to commercialize the Argus family of infrared spectrometers developed at York University. Thoth's product lineup also includes the Argus-derived Aurora infrared camera as well as the IBIS flight computer. These are useful and well designed camera's with flight heritage, something most other Canadian companies cannot claim. 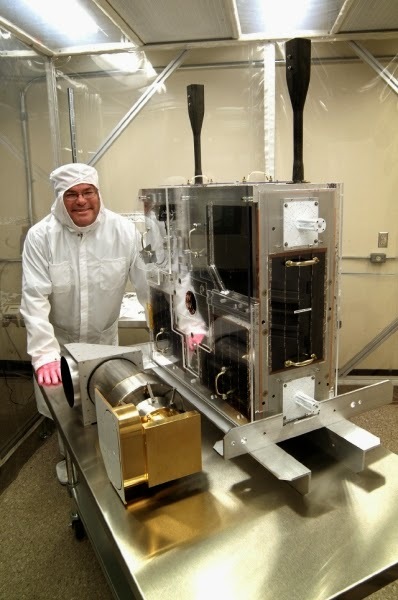 In 2008, an Argus spectrometer was even launched into space on the University of Toronto Institute of Aerospace Studies (UTIAS) Space Flight Laboratory (SFL) CanX-2 nano-satellite to monitor greenhouse gasses in Earth's upper atmosphere. Thoth is also a provider of space services. It offers thermal vacuum and vibration testing services (utilizing York University facilities and equipment), spectral analysis simulation and space tracking/communications services via the Algonquin Radio Observatory (a re-purposed 1960's Northern Ontario facility purchased by Thoth in 2008). Given its scientific and engineering expertise, plus its existing flight heritage, the project's lack of traction appears to be the result of the same mistake made by another Canadian space crowd funding campaign held earlier this year. Two useful tools from Thoth Technology. On the left is an Argus IR spectrometer. On the right is an Aurora line-scan camera. Both items are available commercially. Photo's c/o Thoth Technology. As first discussed in the September 7th, 2014 post "Open Space Orbital Post Mortem: Lessons Learned & Moving Forward," product/project teams need to spend time building up a following on social (and other forms of) media prior to launching a crowd funding campaign. The most successful crowd funding campaigns, such as the ISEE-3 Reboot Project (which raised $160,000 USD to re-establish a ground connection with the retired International Sun/Earth Explorer 3 spacecraft), the Pebble smartwatch (which raised over $10.3Mln USD as part of a kickstarter campaign initially intended to raise only $100,000 USD), and the Oculus Rift virtual reality headset (which raised almost $3.5Mln USD during a kickstarter campaign originally intended to raise only $250,000 USD) each held aggressive social media campaigns prior to their start. The brand awareness and goodwill gained via social media fueled these projects' success. Such groundwork is not only being done by start-ups, but also, increasingly, by large firms. In a recent example, Shomi, a Canadian streaming video on demand (SVOD) service (part of Rogers Inc.), launched in November to great success. For three months prior to launch, the company made extensive use of social media (primarily Facebook and Twitter) to promote brand awareness and elicit public feedback. (Note: the author is employed by Shomi and his comments do not reflect the views of Shomi or Rogers Inc). Thoth's lack of in-house marketing expertise may hamper its current crowd funding campaign, but certainly shouldn't preclude future efforts. However, in order to succeed, space crowd funding efforts need to include a broader skill-set; sales and marketing alongside science and engineering. Embracing a broader pool of talent will broaden space crowd funding's success. 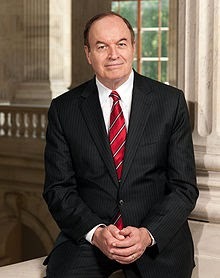 Senator Shelby. Photo c/o Wikipedia. It's a truism that NASA programs have normally included a strong and often very public Canadian component. Examples of this would include the James Webb Space Telescope (expected to include a Canadian built fine guidance sensor and near-infrared imager and slitless spectrograph), the Mars Science Laboratory (with its Canadian made alpha particle X-ray spectrometer and image sensors), the International Space Station (ISS) mobile servicing system (which utilizes the CanadArm II and the special purpose dexterous manipulator), the now retired space shuttle (also outfitted with CanadArms) and even, as outlined by author Chris Gainor in the books "Arrows to the Moon" and "Canada in Space," substantial components of the original Apollo program. But anyone looking to find a direct, domestic contribution to the December 5th, 2014 test flight of the Orion Multi-Purpose Crew Vehicle (MPCV), is likely to be disappointed. And most of the credit (or perhaps, the blame) for this unusual state of affairs seems to rest squarely at the feet of the senior United States senator from Alabama, Richard Shelby. In fact, a number of US politicians and space program experts have called Shelby to task for his advocacy, not just of Orion, but also of the still incomplete Space Launch System (SLS), a giant rocket designed to operate with Orion. Shelby has championed both of these programs to the point of threatening ongoing funding for other NASA programs, specifically the commercial crew development program, a second NASA spaceflight program officially targeted at developing cargo and manned access to low Earth orbit, but possessing the potential to do far more, for far less money. At least one expert, former NASA deputy director Lori Garver, considers the Shelby approved programs as being designed primarily to generate "jobs in (certain) peoples' districts." Of course, senator Shelby has taken great pride in promoting the numerous local benefits he has helped to bring to his constituents, such as those outlined most recently in the June 3rd, 2014 YellowHammer article "Big news for Huntsville: Shelby announces $1.7 billion for space launch system," which discussed the allocation of "nearly $18 billion to NASA for the 2015 Fiscal Year, including $1.7 billion allocated to rocket development for the Space Launch System (SLS) currently underway at NASA’s Marshall Space Flight Center in Huntsville, Alabama." The article goes on to state that Shelby is also the vice chairman of the "Senate Appropriations Committee and its Subcommittee on Commerce, Justice Science and Related Agencies (CJS), which passed the bill." Shelby has been so effective in his advocacy for jobs in Huntsville that the only real internationally outsourced component of Orion has been the service module. 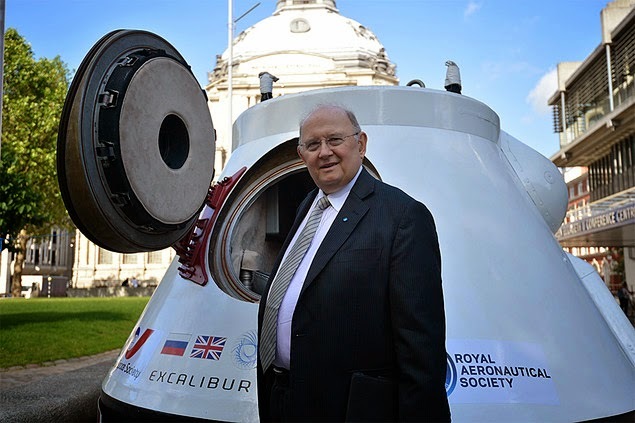 As outlined in the November 21st, 2012 NASA Spaceflight.com article, "UK steps up, as ESA commit to ATV Service Module on NASA’s Orion," the European contribution was made possible through funding from the United Kingdom and is based on the existing European Space Agency (ESA) automated transfer vehicle (ATV). The Orion MPCV. 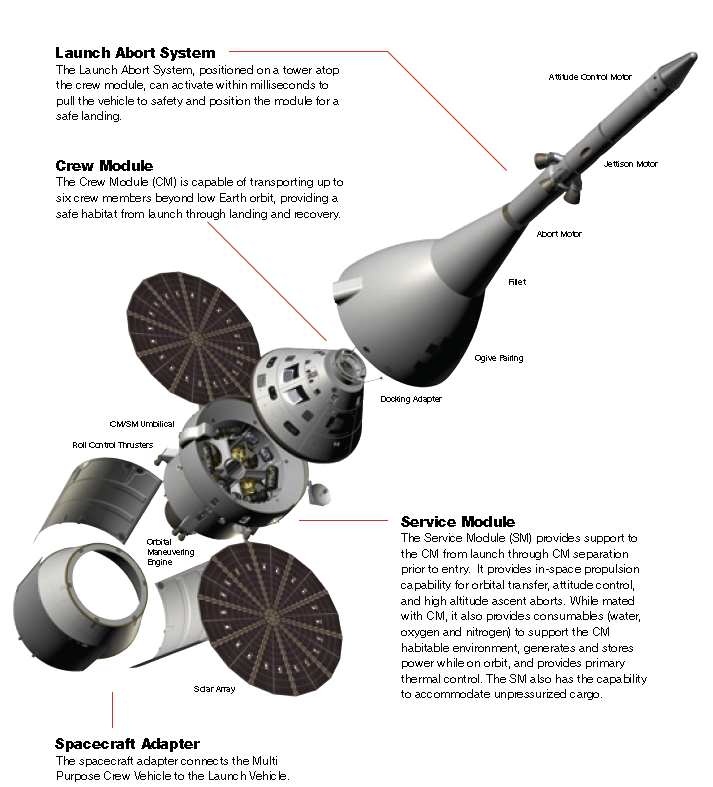 Derived from the earlier Orion Crew Exploration Vehicle (CEV), a part of the cancelled Constellation program, the MPCV is not scheduled for further flights until 2018 when it will be launched, again unmanned, as part of the first flight of the proposed SLS. This date is years later and at a far higher cost than originally expected, according to the August 27th, 2014 CBS News article "NASA commits to $7 billion mega rocket, 2018 debut." A US House of Representatives science subcommittee on space hearing, focused on an update on the Space Launch System and monitoring the development of the nation’s deep space exploration capabilities, will be held on December 10th, 2014 in Washington, DC. Graphic c/o NASA. The rocket is called the Falcon Heavy. Yes, (SpaceX CEO Elon) Musk named his rocket after the Millennium Falcon of Star Wars, and he promises it will take twice as much payload into space as the one NASA launched on Friday, and at one-third the cost. So far his claims about SpaceX have come true, and soon he’ll be fighting, with the lobbyists and the politicians who play favorites, for satellite contracts worth hundreds of billions of dollars. It's not that Shelby didn't have a little help along the way. Shuttle contractors originally sold SLS to the US government as a way to preserve domestic American jobs threatened by the wind-down of the space shuttle program. Even Orion prime contractor Lockheed Martin (LM) provided some assistance. As outlined on the MPCV website, queries about subcontractors are normally told only that the Orion "industry team" is composed of Sacramento, CA based Aerojet Rocketdyne, Charlotte, NC based United Technologies Corporation Aerospace Systems (UTAS), and Morristown, NY based Honeywell Inc., plus "an expansive network of minor subcontractors and small businesses in 45 states." Privately, LM goes to great lengths to confirm that there are no Canadian based Orion subcontractors in its current Orion supply chain. After all, the intent of the program wasn't to preserve Canadian jobs. None of which will help Canadians develop any personal stake in future Orion missions. After much hemming and hawing, the Canadian Space Agency (CSA) has confirmed the winners of three request for proposals (RFP's) for Moon/Mars rover development issued in August 2014. The Argo J5 mobility platform being demonstrated at the University of Toronto Institute of Aerospace Studies MarsDome facility on February 20th, 2014. Directly behind the orange J5 is a grey JUNO mobility platform (J1) and a J4 Rover, which is currently the basis of the Artemis Jr., the chassis of choice for the proposed NASA Resolve mission. To the left is a second ARGO J5 rover equipped with ODG’s lunar wheel prototype, optimized for harsh conditions. Both the JUNO and Artemis Jr. Rovers were developed under a series of CSA contracts by ODG. Photo c/o Chuck Black. Two contracts, the first one worth $689,666.04 CDN along with a second larger award for approximately $2.25 Mln CDN, have been issued to New Hamburg based Ontario Drive and Gear (ODG) while a third contract, worth $344,925 CDN has been awarded to the Brampton, Ontario location of Richmond, BC based MacDonald Dettwiler (MDA). The contracts were disbursed via the CSA Exploration Core (ExCore) program. The original RFP's were first discussed in the August 18th, 2014 post, "Canadian Space Agency Gears up to Fund More Rovers." Begun in 2007, the ExCore program's purpose is to prepare Canada for space exploration activities beyond the International Space Station (ISS) by developing key technologies including Moon/Mars rovers, on-orbit servicing, active vision systems (for spacecraft rendezvous and navigation), in-situ resource utilization (ISRU) (i.e. drills) and surface power/communications systems. The ExCore small planetary rover platform (9F052-140062/A) – A $689,666.04 CDN contract for a functional, small, four wheeled planetary rover platform with skid-steering, a fully passive & manually lockable suspension, a basic power system and power & mechanical interfaces to accommodate small exploration surface mobility (ESM) payloads which was awarded to ODG. The Lunar polar rover night survival strategy (LPRNSS) concept study (9F052-140125/A) - A $344,925 CDN contract to develop an alternative (i.e. non-radioactive) heat source for a lunar rover, with the goal of protecting a rover from the low temperatures which occur at night in the Moon's polar regions. This is currently one of the biggest challenges of robotic lunar exploration and was awarded to the Brampton office of MDA, which focuses on robotics. The Lunar rover drive-train prototype (LRPDP) platform (9F052-140053/001/MTB) – A $2.25 Mln CDN project for Canadian manufacturers to develop a large Lunar Rover Platform & Drive train Prototype (LRPDP), to be subjected to rigorous testing. Awarded to Ontario Drive & Gear of New Hamburg, Ontario. According to ODG space/ robotics manager Peter Visscher, "ODG and its partners are thrilled to remain involved with the ExCore program. The CSA has been a great partner in the development and commercialization of our J5 rover. ODG feels that it has put together a 'dream team' of exceptional partners for this project." Cross Chasm Technologies of Waterloo, Ontario (for rover power management simulation). York University of Toronto, Ont (for additional design simulation). Both ODG and MDA have been core contributors to CSA rover development, since the last round of rover funding was announced in 2010. The latest round of awards was confirmed through a phone call with CSA representative Esther Paquin on November 28th, 2014. Paquin was listed as the CSA contact in the original documentation for the three RFP's. The awarding of the ExCore rover contracts will lay the groundwork for future Canadian space exploration as well as help commercialize Canadian space technology; a win-win scenario if ever there was one. In a timely reminder of the obvious connections between the space industry and the political process, the federal member of parliament (MP) for Nipissing-Timiskaming has announced the creation of a parliamentary "space caucus," which will focus on the economic and business priorities of the Canadian space industry. 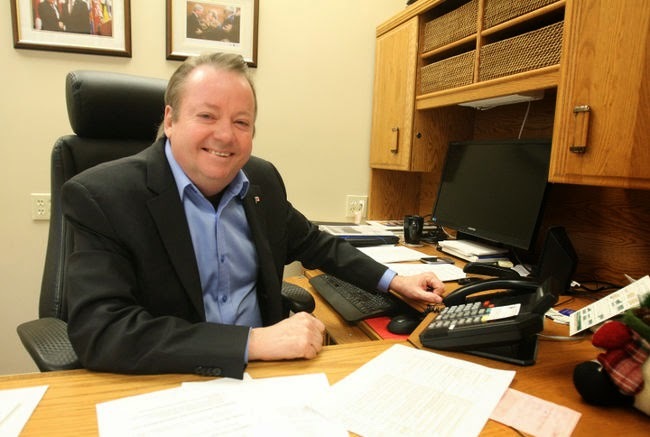 Conservative MP for Nipissing-Timiskaming Jay Aspin in his riding office on March 25th, 2014. As outlined in the March 26th, 2014 Nugget.cs article, "Aspin mum on details," the erstwhile conservative was even then "awaiting new aerospace-related tenants in North Bay." Photo c/o Nugget.ca. It's one of a series of local initiatives which conservative MP Jay Aspin hopes will cement his hold on the riding in time for the upcoming and expected Federal election, sometime in 2014. Aspin initially finished just 14 votes ahead of liberal incumbent Anthony Rota in the 2011 election, which triggered an automatic judicial recount but eventually confirmed his tight 18 vote final victory. 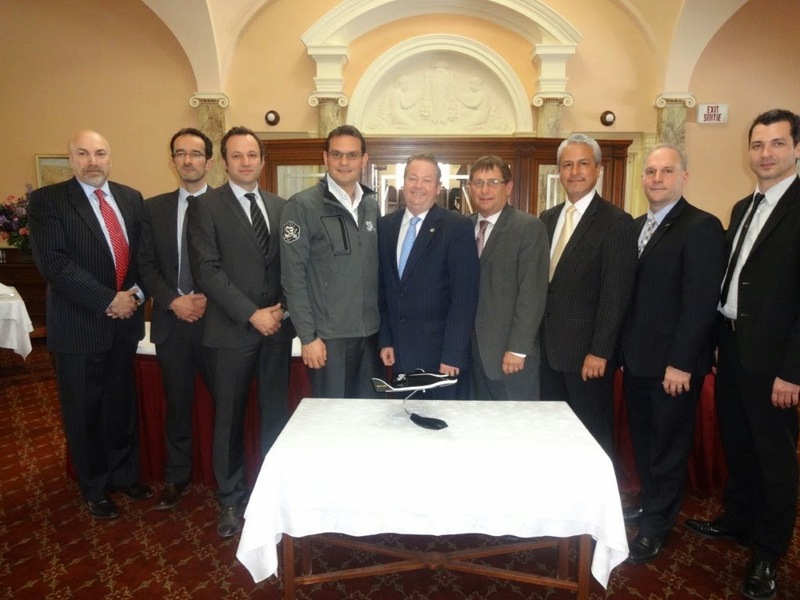 As outlined in the November 26th, 2014 press release "MP Jay Aspin establishes parliamentary Space Caucus; Canadian Space Agency to visit North Bay this week," the new initiative kicked off with a Friday meeting between Canadian Space Agency (CSA) and Canadore College representatives along with representatives from the European based, privately held Swiss Space Systems (S3), which recently entered into an agreement with Canadore College to perform tests on a mock-up of the proposed SOAR suborbital space plane. Aspin may have a point. The 140 companies and organizations listed in the Canadian Space Directory generated $3.327Bln CDN in revenue and employed just fewer than 8000 Canadians in 2012, according to the 2012 State of the Canadian Space Sector Report. And at least a few of those employers are in Aspin's riding. As outlined in the June 30th, 2014 blog post, "Canadore College Testing New European Space Plane Design," Aspin was also a central player in the recent partnership between the City of North Bay, Ontario, the aviation technology campus at Canadore College and S3 Systems to perform testing of a suborbital space plane mock-up at Jack Garland Airport in North Bay, Ontario. Of course, this isn't the only recent initiative by Aspin to bolster his chances in the next election. 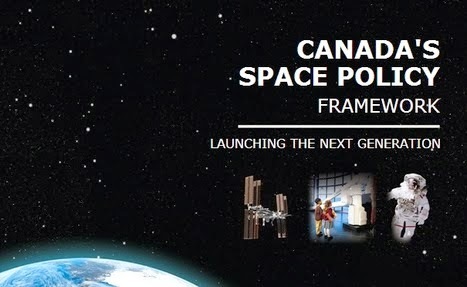 As outlined on the Jay Aspin website, the ambitious co-chair of the parliamentary aerospace caucus (which has been working hard to move forward with the 2012 Federal Review of Aerospace and Space Programs and Policies,or "Emerson Report") has also recently announced a variety of initiatives, designed to build conservative support in this important swing riding. Aspin (centre) and other local community leaders in September, 2014. As outlined in the September 26th, 2014 Jay Aspin website post, "MP Jay Aspin discloses his plans for further development of the local space industry: Strategy for Space Success in our Region," Aspin first disclosed "his plans to further develop the local aerospace and in particular space industry that was launched earlier this summer with the announcement from Canadore College.” Photo c/o JayAspin.ca. The various military support programs Aspin has championed. As outlined in the November 24th, 2014 press release "MP Jay Aspin pleased North Bay chosen as one of centres for Military Family Support Program," Aspin has promised that the "Government of Canada will invest $15.8 million in a four-year pilot project to provide medically released Veterans and their families with access to the Military Family Support Program (MFSP)." 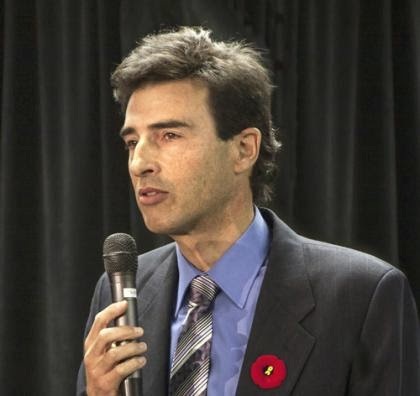 The funding Aspin has promised to create a new "transportation corridor" in his riding. As outlined in the November 21st, 2014 press release "MP Jay Aspin unveils major initiative for Highway 11 transportation corridor," Aspin has also promised to "engage senior levels of government with transportation infrastructure improvements to the Highway 11 corridor north of North Bay to Temiskaming Shores to improve safety and expand the economy of the region. The thrust of the initiative will be to engage provincial and federal governments to provide this strategic investment for the region." The funding Aspin has promised to provide for the various communities in his riding. As outlined in the November 14th, 2014 press release "MP Jay Aspin delivers over $400,000 for Powassan," the busy MP for Nipissing-Timiskaming has even promised "a $387,600 investment for Powassan’s new business / industrial park and $20,800 on behalf of the Honourable Jason Kenney, Minister of Employment and Social Development Canada for an enhancement for the Sportsplex recreational facility." And he's promised all of these initiatives within the last month. However they may fare over the long run, these latest initiatives are a reminder that politicians, even those in the Federal Conservative party of Canada under Prime Minister Stephen Harper, are finally beginning to come to grips with a new political reality which equates space exploration with activism, innovation, commercialization and job growth. That's a really good place to start with building Canada's contribution to our next great space age. 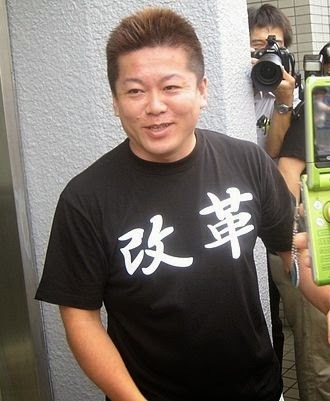 Takafumi Horie. Photo c/o Wikipedia. A Japanese investor, popularly known as Horiemon (ホリエモン?) due to his resemblance to Doraemon, the chubby robot cat in a popular Japanese cartoon, is suing Isle of Man-registered space transportation firm Excalibur Almaz (EA) for allegedly misleading him into investing $49Mln USD ($55.2Mln CDN) in a commercial space venture. According to the November 19th, 2014 IOM Today article "Manx-registered space exploration firm to fight civil suit in US," Japanese businessman Takafumi Horie has filed a civil suit in Harris County district court, Texas, against EA founders Art Dula and J Buckner Hightower. Horie’s suit accuses Dula and Hightower of fraud, breach of contract and breach of fiduciary duty. Horie claims he realized that his investment was a “sham” when he learned that Dula had sold a Russian spacecraft at auction that allegedly was "only suitable for display in a museum, and not as a potential flight vehicle as had been falsely represented to the plaintiff from the beginning." But as outlined in the May 18th, 2014 Financial Times article "Takafumi Horie – return of Japan’s enfant terrible," the well known Japanese investor also comes with some history. According to the article, he once spent 21 months in prison for violating Japanese securities laws. EA founder Art Dula in front of re-purposed ex-Soviet Almaz hardware in 2012. Dula also acts as the literary executor for science fiction author Robert A. Heinlein and maintains a legal practice focused around aerospace, business and intellectual property law. Photo c/o Pocket Lint. EA's strategy focused on the use of re-purposed Soviet-era space hardware. This vintage hardware was originally part of the "Almaz" (Diamond) program, a top-secret Soviet military space station project which ran from the early 1960's to the late 1970's. Three crewed military reconnaissance stations were launched between 1973 and 1976. To conceal the program's military purpose, the three launched Almaz stations were designated as civilian space stations: Salyut 2, 3 and 5. Salyut 2 failed shortly after reaching orbit, but Salyut 3 and Salyut 5 both conducted successful crewed tests. In 1978, following the Salyut 5 mission, the Soviet Ministry of Defence concluded that the time spent on station upkeep outweighed the stations' benefits compared to automated reconnaissance satellites and the program was ended. A full scale model of the Salyut 7 space station (with a Soyuz spacecraft docked at the front port and a Progress spacecraft at the rear) which is on display as part of the Exhibition of Soviet National Economic Achievement in Moscow. Photo c/o Wikipedia. the VA spacecraft (known in the West as the Merkur), a launch and return vehicle for the crews, reusable for up to 10 flights. In a move that could be described as "proto-Star Wars," in addition to reconnaissance equipment, Salyut-3 was armed with a modified Rikhter R-23 aircraft auto cannon mounted on its forward belly. Originally used as a tailgun on Tu-22 bombers, the R-23 had a theoretical firing rate of up to 2600 rounds per minute and its projectiles flew at a speed of 850 m/s relative to the station. The cannon was envisioned as both a point defence weapon against incoming enemy spacecraft and as an antisatellite weapon. Since the cannon was on a fixed mount, the entire station needed to be turned to aim it. 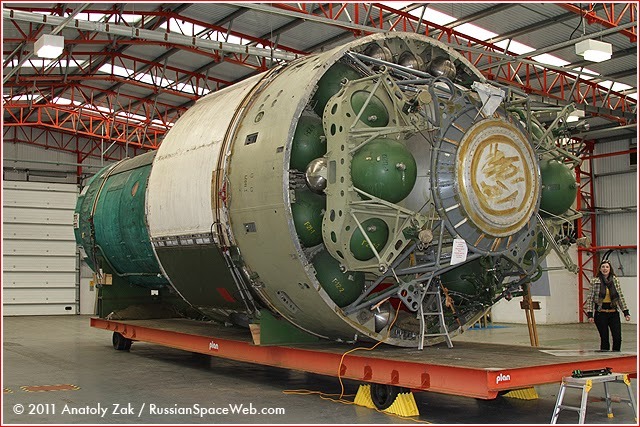 The R-23 carried 32 rounds and was test fired three times at the end of the 1974 Salyut-3 mission, when the station was operating uncrewed, so as to avoid issues with excessive vibration and noise. The Amlaz-205 module in 2011. At the time of its purchase by EA in 2011, the module was missing payload and subsystems, at least according to a May 21st, 2011 Russian Space web post on the topic. Photo c/o Russian Space Web. Of course, the Almaz program left behind a rich legacy, which continues to the present-day. The DOS series of space station modules (based on the Almaz OPS) served as the core of the Salyut 1, 6, and 7 space stations, the Mir space station and the Zvezda service module of the International Space Station (ISS). Hardware derived from the Almaz FGB would also become the basis for the Kvant-1 module of the Mir space station and the Zarya Functional Cargo Block, in use on the ISS. In 2011, EA purchased two partially completed Almaz-205 and Almaz-206 (i.e. Almaz-OPS) modules and four VA spacecraft hulls from Russia's NPO Mashinostroyeniya (the former Soviet OKB-52 design bureau). The company claimed that the Soviet-era electronics had been gutted and replaced with modern avionics from an unnamed supplier. EA claimed that using refurbished hardware rather than developing new technology would save some $2Bln USD ($2.25Bln CDN) in development costs. Signs of trouble first appeared in September of 2012, when EA was refused a second round of funding in NASA's Commercial Crew Development program. Then, the company was hit with a lawsuit from investor Donna Beck who claimed that the company had swindled her and her late husband into investing $300,000 USD ($338,000 CDN) in an asteroid mining scheme. EA settled out of court with Beck for an undisclosed amount. In May 2014, in what has been seen as the company's dying gasp, one of EA's VA spacecraft was sold at an auction in Belgium for €1.26Mln EUR ($1.77Mln CDN). In July 2014, EA founder Art Dula told the Isle of Man Examiner that the company had abandoned its space tourism plans. 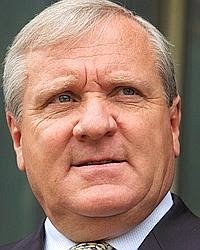 Its likely that the financial pressure of this latest lawsuit will trigger further liquidation of the company's assets. Although the Excalibur Almaz story reads like a Kurt Vonnegut novel, it can be instructive as a case study for both NewSpace companies and investors. Due diligence, from both investors and companies remains the key to the industry's future. Meanwhile, Back in Richmond, an Iconic MacDonald Dettwiler Quietly Plots its Next Move! 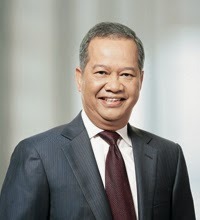 PSN CEO Adi Rahman Adiwoso. Photo c/o PSN. Last week's announcement from BC based MacDonald Dettwiler (MDA) subsidiary Space System/Loral (SSL) that a previously announced satellite construction contract was for the Indonesian satellite operator PT Pasifik Satelit Nusantara (PSN), is simply another reminder that the MDA focus of operations is slowly shifting out of Canada. As outlined in the November 19th, 2014 SSL press release, "SSL names undisclosed customer announced last month," SSL will be designing and building a new commercial communications satellite, named PSN VI, which will provide service throughout South East Asia. The satellite will include both C-band (used for the data distribution of videos, cellular phones and other data communication) and Ku-band transponders (used for providing satellite services for the pay-TV industry) as part of its high throughput satellite (HTS) payload. Overall, the win would seem to be a big one. As recently as the December 21st, 2013 Jakarta Post article "PSN to spend $220m on expansion," PSN president director Adi Rahman Adiwoso was quoted as stating that the new satellite, expected to cost approximately $200Mln USD ($224.7Mln CDN) would be provided through American Boeing Satellite System International, a subsidiary of the Seattle based Boeing Corp. However, the most recent press release from SSL also quoted Adiwoso as stating that the new partnership "will strengthen our commitment to be the best satellite-based company regarding the technology innovation and its products. SSL has provided PSN with a solution including a committed launch, which strengthens and supports PSN's business plan and strategy going ahead." As outlined in the October 27th, 2014 post "MDA Promotes Recent Wins as Preliminary to Quarterly Conference Call," the company has also promoted recently signed contracts with the US Air Force, Beijing-based EarthSTAR Inc (a subsidiary of EarthView Image Inc, a Chinese geographic information systems developer) and with "undisclosed customers in the oil and gas, and mining sectors" to deliver RADARSAT-2 surface movement monitoring products and services. But there hasn't been an equivalent growth in domestic business for the company since MDA won the award for RADARSAT Constellation (RCM). As outlined in the January 12th, 2013 post "A $706Mln Fixed Price Contract and Hard Launch Date for RADARSAT Constellation," the final RCM agreement included a contractual requirement to "launch the (three) satellites in 2018" for a fixed price but with no substantive follow-on funding. Of course, the Canadian market hasn't really been critical to MDA's prospects since its November 2012 acquisition of SSL. But the absence of new Canadian government business has caused at least some public hand wringing from MDA executives, along with an implied threat to move the Richmond based head office to another, friendlier jurisdiction if things don't improve. MDA CEO Daniel Friedmann. Photo c/o MDA. For example, the October 31st, 2014 Space News article "Canada’s MDA Suggests Lack of Government Support May Prompt Another Move," quoted MDA CEO Daniel Friedmann as stating that, “we are concerned that Canada will not continue in the radar area — just as we were concerned about robotics, and we were right, unfortunately." According to Friedman, MDA used to invest 90 percent of its research and development budget in Canada, but that has now shrunk to one-third of the total budget, as US and other nations show more promise and offer more support to operations. The article went on to state that "Canada’s seeming vacillation as to how to advance the nation’s specialty in space-based robotics was in part responsible for the company’s (MDA's) purchase of a small U.S. company that has since been folded into MDA’s satellite manufacturing business, Space Systems/Loral (SSL) of Palo Alto, California." With R&D money already moving out of Canada and a growing international customer base for MDA satellites and services, only time will tell if the next strategic move for MDA ends up being a physical one.